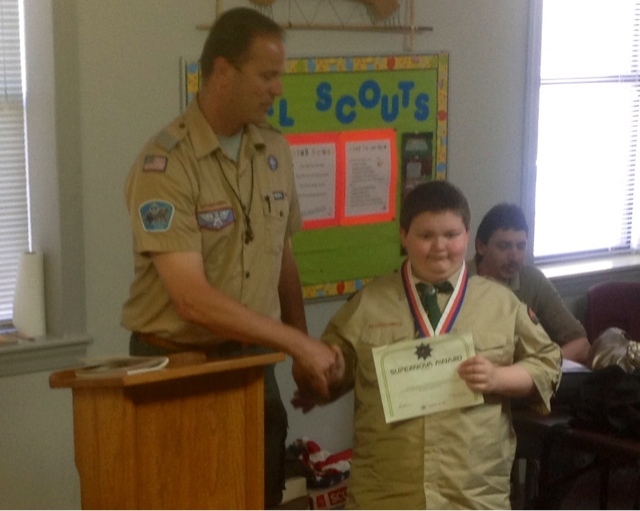 Weston LePhiew of Boy Scout Troop 67, Monticello, AR. is awarded the STEM/SuperNova Award by DeSoto Area Council Scout Executive, Rob Lavoie. The Boy Scout Supernova awards recognize superior achievement by a Boy Scout in the fields of science, technology, engineering, and mathematics (STEM).